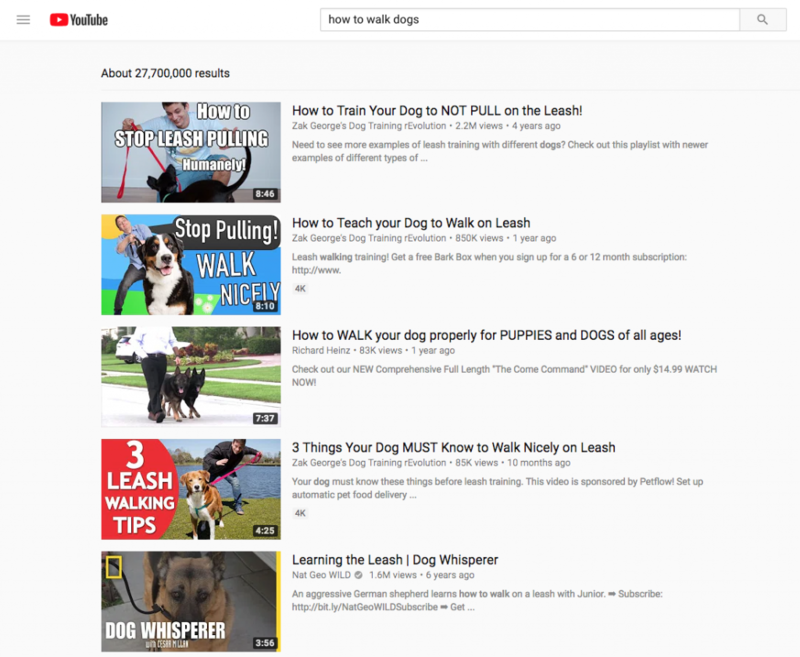 If you use your favorite search engine (Google, obviously) to find information on “how to become a dog walker”, you’ll quickly learn it’s not all puppy kisses and rainbows. It’s a job like any other, and if you want to be successful at it, you’ve got to put in the time and effort. We’re going to go over the business of dog walking in detail, so buckle up for the ride. The fact that you’re reading this means you probably don’t need much convincing. Either way, it’s good to make a list of pros and cons. Mostly because lists are fun, but also mostly-er because pros look great. You get to walk dogs. 68 percent of households in the United States own pets, and over 60 million households have a dog. That’s a lot of dogs in need of pet care services, and while there are are lot of pet care pros, there aren’t millions of them. In other words, there’s plenty of work to go around, you just need to get it. 35 minutes of daily walking at a moderate pace is what Harvard Medical School recommends to maintain a healthy lifestyle. If you become a dog walker, you’ll easily do that much before lunch. 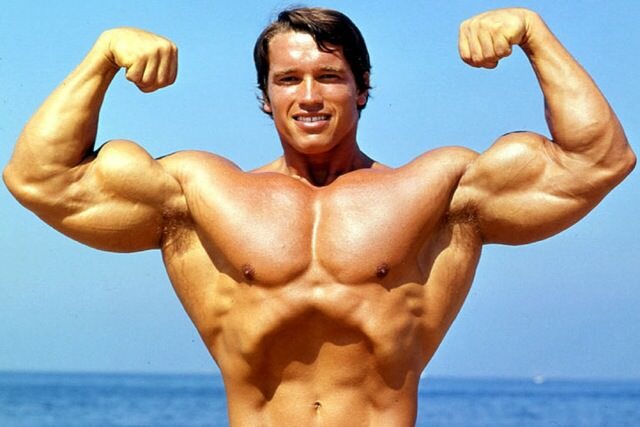 You won’t want have to worry about exercising unless you want to look like this guy. You get to walk dogs. For money. Set your own hours, and usually choose your own clients. If you want to make a good living from it, it’s a lot of work. Think about it: if you have eight 30-minute daily walks and you move at a moderate pace, that’s anywhere between 8 to 12 miles you’ll walk. That’s 40-60 miles per week. Granted, not everyone will be walking with that level of consistency, but it gives you an idea of the amount of walking you’ll do. It’s not easy taking a vacation when your regular clients rely on you. Taking a day off means the clients who need you to walk their dogs will have to go out of their way to find a solution. Either that, or you have to go out of your way to find a solution for them. Weather can take its toll on you. Obviously it depends on your location, but no place has perfect weather 365 days out of the year. For example, we’re based out of Miami. Summer in Miami looks like blistering sun, 96º F, 80% humidity, with an hour break in the afternoon for a violent thunderstorm, then back to soul-crushing heat. If you still want to become a dog walker, you probably figure 8-12 miles of walking per day is good exercise. You can find other walkers to cover your clients when you’re unavailable. You can invest in sunblock and a poncho. You’re ready to do this! Before you continue, you should build some kind of experience. The best way to do that is to walk your friends’ and neighbors’ dogs. You’ll build references (which you’ll need going forward) and invaluable experience quickly that way. Next, you may want to think about certifications. Two companies that offer it are DogTec and Canine Club Academy. 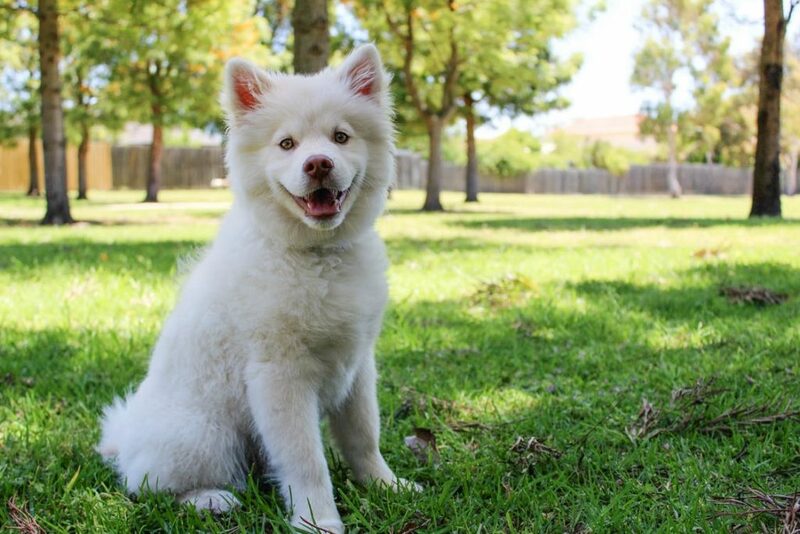 We’re torn on this, because if you already have experience handling dogs (maybe you have some? Maybe you are one?) it could prove to be nothing more than a money sink. Canine Club Academy’s course is online, and it costs $1,095. What can that course teach you over the Internet that free YouTube videos and some live dogs can’t? Do potential clients know who they are and why they matter as an accreditation agency? Probably not. $1,095 sounds like an awful lot of money when you look at it like that. So again, we believe dog walker certification is entirely up to you and how you feel about your skills as a dog walker. To us, the certification itself doesn’t mean too much, but if the content of the courses are valuable (we make no comment as to their quality, we don’t know), it may be worthwhile. We’ve written about pet care insurance in the past, so take a look at that article for information about the different providers. Insurance is strongly recommended, because if anything goes wrong and you don’t have it, you’re in for a ruff rough time. Depending on the route you take with becoming a dog waker, you may need to get this for yourself or have it provided for you. Now you have a decision to make. Do you want to join an established dog walking company, or start your own business? The quickest way to get started is to apply to work for another company. You don’t have to worry about business cards, websites, management systems, incorporation, or any of that other stuff. You’ll be an employee or independent contractor and the business side of things will be handled by someone else. You won’t make as much money, but your stress levels will be a lot lower. Plus, you’ll gain valuable experience that could help in case you do decide to start your own business later. To find a company that’s hiring near you, Google is your best friend. You can become a dog walker with online companies like Rover and Wag, but we recommend going with a local company near you. When you find a local company that is hiring, check out their website and find out more about them. Find out what their requirements are, and apply if you feel they’re a good fit. Let’s be honest, we’re all about starting your own company. We like it so much we started a company to help people start a company. 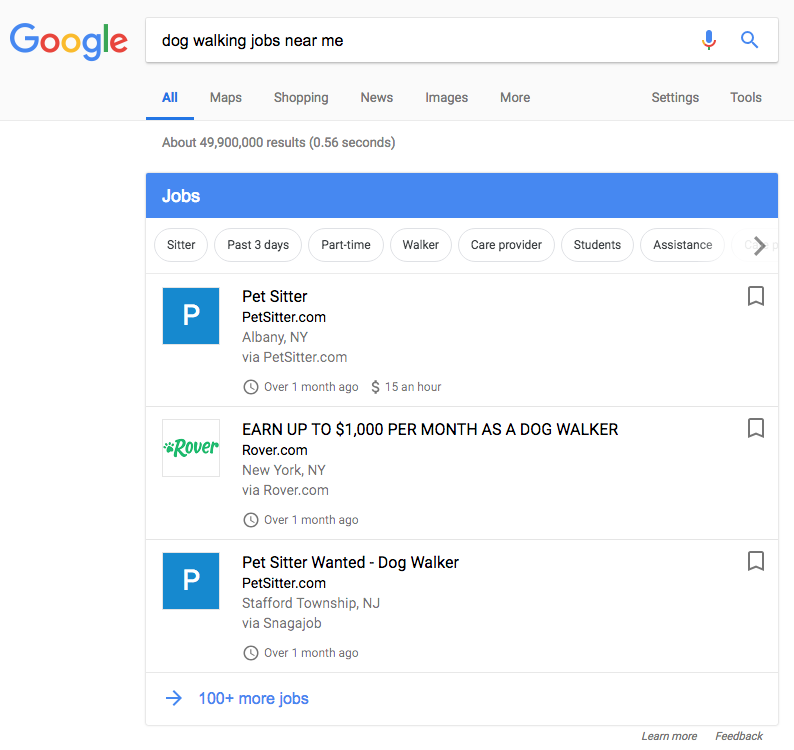 Needless to say, our goal with this article is to help you become a dog walker by suggesting you start your own business. In seven steps, this is what you should do to get started. Obviously, you need to know what you’re doing. If you don’t have enough experience dealing with large dogs, reactive dogs, timid dogs, or [insert-adjective-here] dogs you need to get it. We gave you our stance on certifications, but we never touched on courses. Not every course comes with a certificate. You can work with a local dog trainer and refine your walking technique and learn how to manage dogs of varying temperament and sizes. We’ve given tips on choosing a good name before. The gist of it is, choose a name you like and make sure it’s not taken. Then register it with your state government, and buy the domain name for it. Tell them about you and your experience. 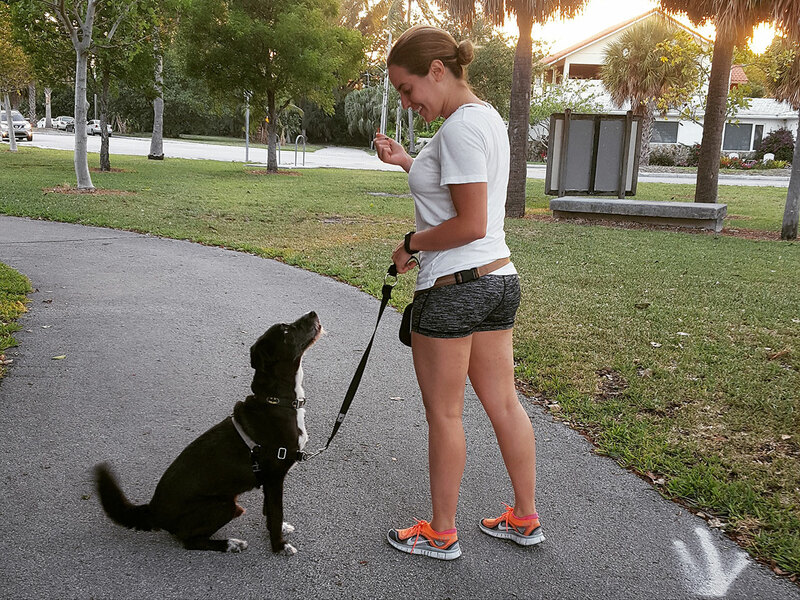 Dog walking is a trust-based business, and a history of why you started the company serves to start building trust with your reader. Provide a summary of what you do. Have a page listing out all the services you perform. If you offer pet sitting/boarding, drop-in visits, or transportation services you need to make that clear, along with a cost breakdown. Show them photos of you doing it. If you offer other services like boarding, show the facilities (like your home and yard). Take good, clear photographs that portray you in the best light. Give them a way to contact you. Some people prefer emailing, some texting, and others speaking. Give everyone what they want. Some good examples of websites that follow that principle well are: Vet Pro Pet Care, Polly’s Adventure Walks, and Biscayne Park Pet Care. Other things you can consider offline are postcards and business card magnets. How are you going to organize your schedule? You can jot down your bookings on a day planner or calendar. Maybe use Google calendar to keep track of your bookings and when payments are due. You’ll need somewhere to keep notes about your client and their pets. What about agreements you give to your client to sign? You may have an agreement you want your clients to sign before you perform services for them. Details like their payment schedule, cancelation policy, and what you expect from them are some things that can be covered. How are you collecting payments? The easiest way is to just accept cash. However, some people prefer to pay with a credit card or PayPal/Venmo. You should consider accepting those to make things easier on your clients. You can opt to do those things yourself, or use software to help you out with that. Guess what dog walking software we recommend? Another topic we’ve written about is regarding how to advertise yourself. 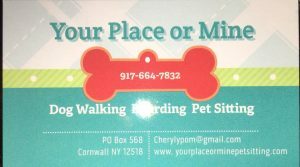 In short, advertise yourself by handing out your business card to pet owners; and making sure your business shows up on Google, Yelp, and Nextdoor. We recommend checking out that article, because we go into detail about how to accomplish those things. As we’ve said before, this is a trust-based business. You can build a website, have beautiful business cards, and a fun t-shirt you wear when you walk, but there’s no better way to get new business than referrals. 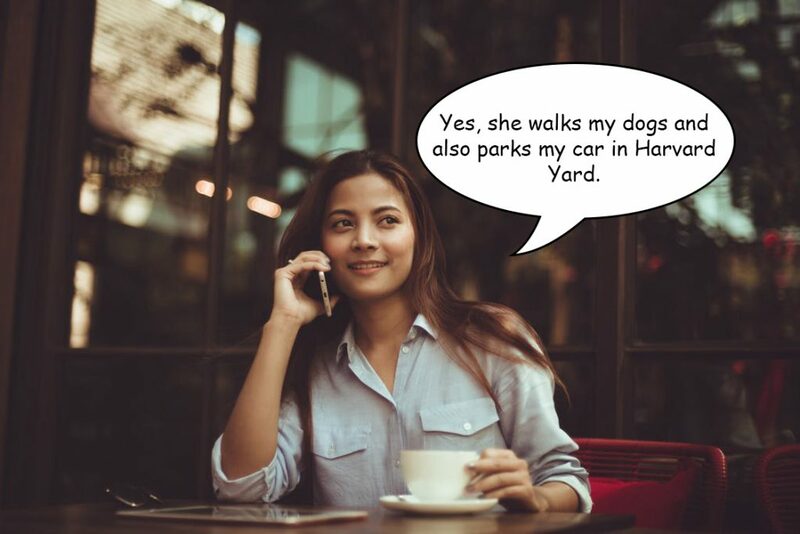 You’d trust your friend’s opinion of the dog walker they use with their own pets over any font and color scheme in the universe. Work on getting reviews as quickly as possible, especially from those friends and neighbors whose dogs we told you to walk. Before your website goes live you can and should already have people willing to vouch for your abilities. That way, in the event someone does ask for references, you won’t be giving people a Google Voice number and practicing your Boston accent to get away with it. Finally, you have to do awesome work, and work hard at it. You won’t have two dozen clients right out of the gate, you’re going to have zero until your efforts start paying off. Then you’ll have one, and the month after that if you’re lucky you’ll have two or three. It’s a slow burn, but if you keep at it and make yourself indispensable you’ll be hiring staff by the end of your first year. If you want to become a dog walker, you have to work. If you want to become a dog walking business owner, you have to work.